Hi guys!! I have swapped up my usual Random Thoughts posts a bit and now will be sharing 12 things I am super excited about each Tuesday. With summer coming it is easier to corral all the things I am loving into one post per week. These posts always do so well with you guys so I decided to make them a regular thing! Today will be the first ... so welcome to 12 Happies du Jour! Let's start with the amazing bag above. It can be ordered here and was a gift I received earlier this year. I have wanted to add a monogram to it for a while and when my darling friend Maria offered to paint it for me I immediately said YES!! She sent it back to me yesterday and I can tell you after a very long Monday it was a wonderful surprise. Isn't it fabulous? This girl has so much talent and I am lucky to call her a friend! Make sure you are following her on Instagram, her house is to die for. 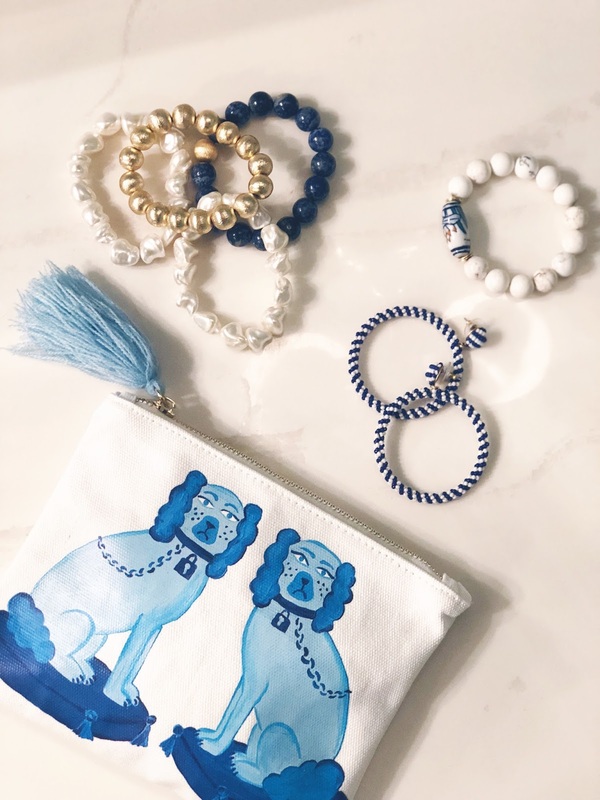 My favorite jewelry company just released these amazing navy bamboo bracelets. They wont't last long, so grab them while you can. Last summer I snagged three turquoise bamboo ones and people ask me about them every time I wear them. The navy is even better, don't you think? Little Bit were out at the store last week, she was buying clear glue to make slime with cute kids she babysits and I was looking for some fun summer color for my lips. We both scored. I snagged a few of these amazing colors and went immediately back for more. This lipstick is fabulous. Its matte and does not come off (lasts up to 16 hours) which means I can eat, drink, and kiss my hubs and it will not come off. This is a major plus where I am concerned, as I don't love reapplying all the time. I highly recommend you snag some ... and here is the best place to grab it! I own all of these amazing colors and love them all ... Pretty, Cherish, Craze and Allure. Snag some for your purse, your pool bag and your bathroom counter. You will 💋. These are the cutest espadrille slides ... I may need to add them to my shoe collection. Not only would they be so very comfortable but the stripes and the saying are just too fabulous. 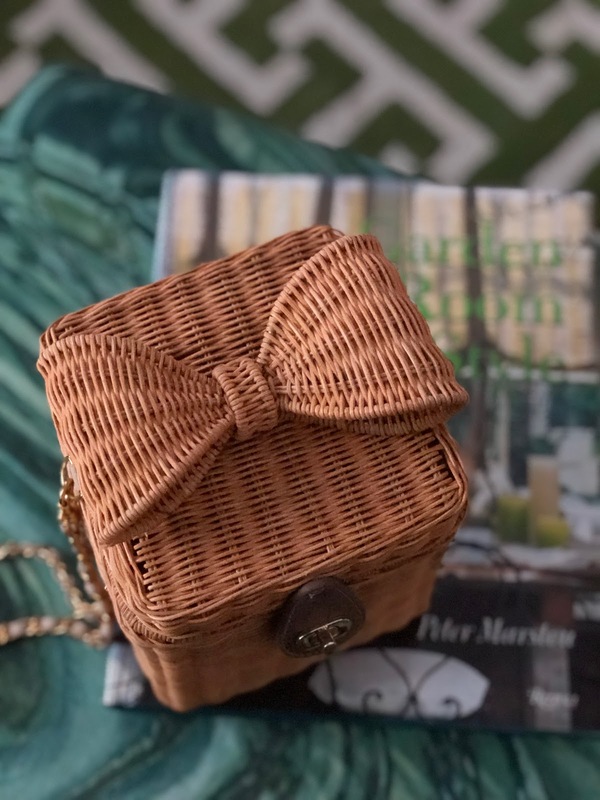 How cute is this bag? I ordered it immediately when I spotted that bow! Yes please!! These sleep sacks are quite possibly the most comfortable pair I have ever worn. They have been in my daily rotation since the moment they arrived and I put them on and then couldn't take them off. So comfy and so cute. I highly recommend you try them out! Every since I had my hair blown out two weeks ago at Dry Bar I have been drinking water with sliced lemons and mint. They always serve the best water and this combination is my new favorite thing. Since we are less than a month away from our Haiti trip and they have recommended we drink a lot of water before we go I have been trying to add more water into my day. Drinking water with lemon and mint has not only been an easy way to add in more water but it is so very good and has me craving more and more. I highly recommend you try it, it is refreshing and smells amazing. I call that a major win, win! 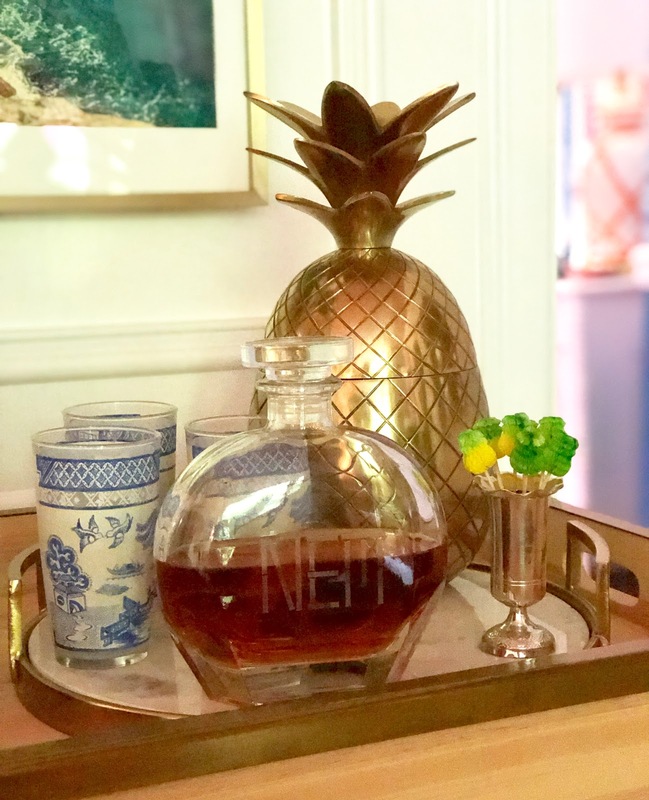 Our little bourbon bar got an upgrade recently with this amazing pineapple ice bucket from Grandinroad. I set up this area a few months ago and it was most definitely missing an ice bucket and then I luckily spied this one. I think it is fabulous and who doesn't love a brass pineapple. It will also be so fabulous when we use it on the porch with our pineapple cups later in the summer. For the time being it is very happy here with the Hubs bourbon from another one of my favorite shops! My phone seems to die faster than it used to. My oldest (major techy) says it the way I use it, which it may be, but I know I always need a way to charge it if I am out and about. As a mother I have to have a way for my kids to reach me at all times. A fellow blogger posted purchasing this external battery a while back and I immediately bought it. I can't believe I have not shared until now how amazing it is. It holds four charges and is so fast. I highly recommend you get this one. This is the prettiest party I think I have ever seen. Truly, so beautiful! 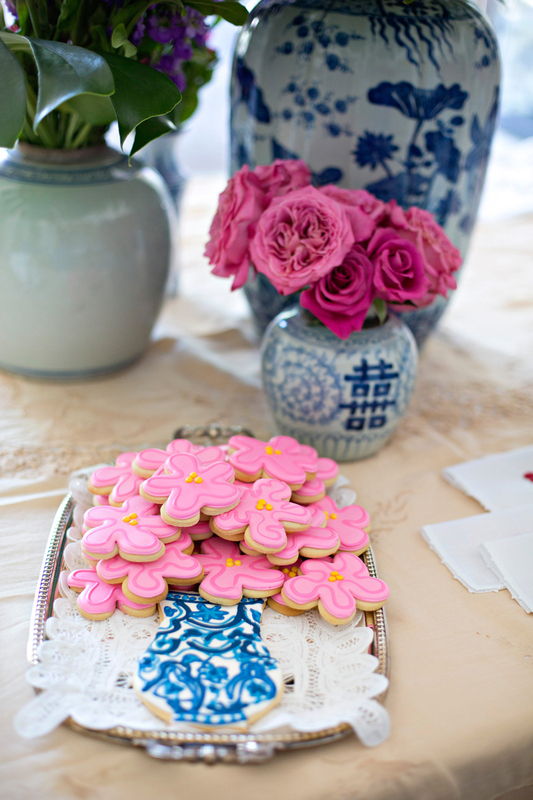 Oh, and for another amazing blue and white party check out this post. I love the planter used as an ice bucket. I am so borrowing this idea for our next barbecue! I truly enjoyed reading all about the Bishop who delivered the sermon at Harry and Meghan's wedding. He is so interesting and most definitely took the attendees and every single person watching "to church". Amen, amen, amen. Y'all these shoes! Yes, yes and order them asap!